front of Owens Funeral Home, which was at 5th and Main. All Firemen were lined up in front of four N.L.R.F.D. trucks. 1931. This would indicate that this vehicle was not brand new when the NLRFD received it. was only made in 1929 and 1930. 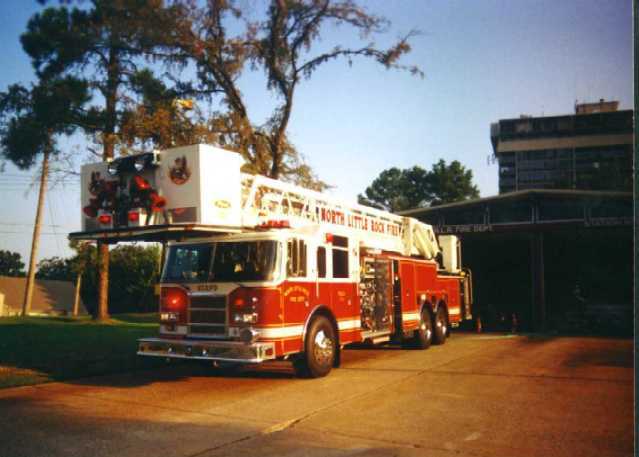 In 1939, when a Seagrave 500 GPM Pumper was delivered to the NLRFD, the Democrat stated that an "ancient" vehicle which was a former NLR Police Patrol Wagon and later went to the NLRFD, would be replaced. 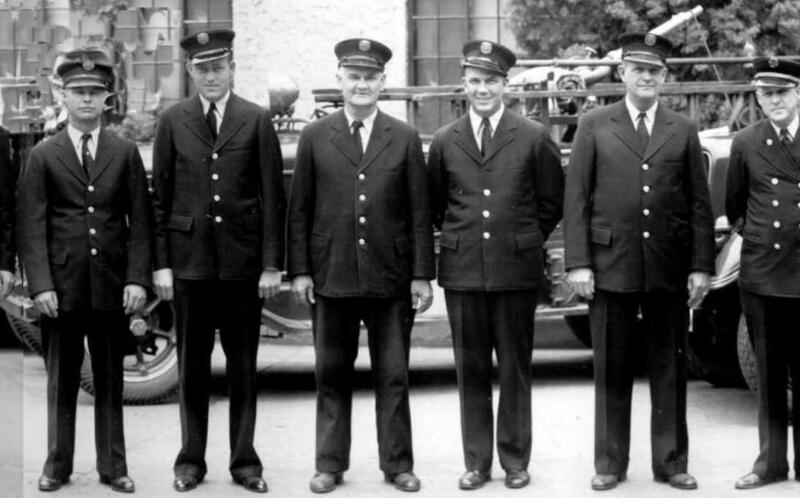 The 1939 Seagrave was Company 4 when it arrived, as pictures evidence, so there is evidence that Company 4, from some point in time prior to 1939 until the new Seagrave pumper arrived in October, 1939 operated on a former NLR Police Paddy Wagon. Wagon would not be suitable for the Street Department. Newpaper accounts in September, 1929 stated that Company 4 would respond to grass fires and that the appartus would be manned by members of Company 1. 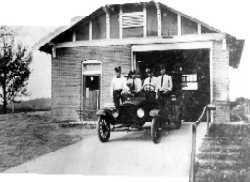 In all liklihood, Company 4 operated on the Ford Model-T until the Whippet was transfered to the NLRFD. The 1938 ISO Report showed Company 1 and Company 4 operating out of Central, with Company 4 as a Hose Company. Whippet that were evident in the N.L.R.F.D. 1938 Photo. Above: Another possible view of what the 1929 Whippet of Hose Company 4 resembled. fine organization and to Greg Gumtow, their Past President for allowing this photo to be used!